Create a BUZZ in your classroom! with these units created with ‘Cool Australia’ curriculum writers with a focus on sustainability. that support teachers to navigate this unit. There is also a digital library that has a load of fun and entertaining bee information. Have a look at the Cool Australia Toolbox too. We are so excited to release this incredible unit just in time for Spring! There is also a great range of resources in the Cool Australia Toolbox to use in the classroom too. Early learning educators! Connect your children to the natural world through sensory and play-based learning with Love Food? Love Seeds! 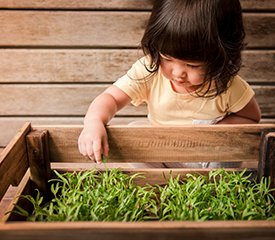 Developed with Cool Australia, this brand-new unit provides 6 lessons to help children understand how food grows from seeds. As people move further and further away from where their food is produced it is increasingly important to help children understand where their food comes from. This unit focuses on students exploring the amazing world of seeds, using play and exploration to find out where the plants that rely on in our food system begin. Most students connect bees to a painful sting or the honey on their breakfast but have little idea about their crucial role in Australia’s food security. Most fruit, nuts, vegetables, seeds and even livestock feed are dependent on bees. We’ve teamed up with Cool Australia to create a new package of Love Food? Love Bees!-Food Security and Sustainability- Year 9 & 10 looking at the powerful role of pollinators in food production, the barrage of threats leading to their demise and, importantly, the steps we can take to create change. 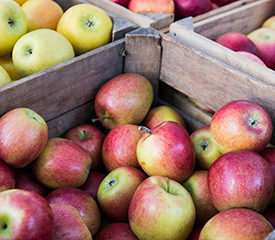 In the lesson Introduction to Food Security, students learn about the role of bees in food production and create a supermarket cheat sheet that their families can use to make more informed food choices. “Dead bees cover the ground on King Island!” Immerse your students in a hypothetical scenario as part of the lesson Powerful Pollinators. Your students will create a flow diagram to illustrate how the decline in bees will impact the island’s food security. Examine the school canteen menu as part of the lesson Taking Action for Food Security. For this inquiry task, students assess the sustainability of ingredients and then create a proposal outlining more sustainable food options. You can also use Love Food? Love Bees! 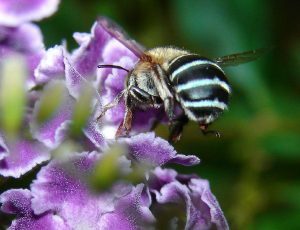 to connect classroom learning to global and national calendar events – the inaugural World Bee Day on 20 May 2018 and Australian Pollinator Week 11-18 November 2018.